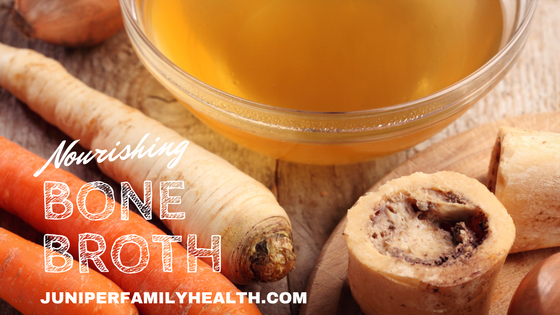 Homemade bone broth is an incredibly nutrient-dense, traditional recipe. Connective tissue within bones, ligaments, and the skin of mammals contain restorative amino acid-starch containing compounds called glycosaminoglycans (GAGs), which are composed of glucosamine, chondroitin, and hyaluronic acid. GAGs are building blocks of the tissue known as collagen and hydrolyzed collagen, known as gelatin. . .